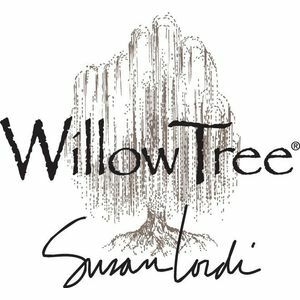 Artist Susan Lordi hand carves each original Willow Tree sculpture. 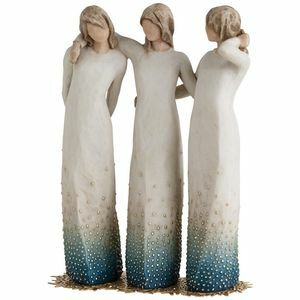 Using family and friends as models, Susan tries to capture a moment in time, or express a feeling. 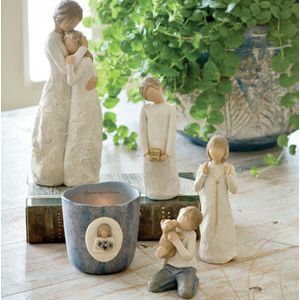 Pieces are cast from her original carving, and then individually painted by hand. Softly washed colors, carved and metal accents, and representative icons of nature mark Susans work. The line has grown to encompass those sentiments that we most want to express. To our friends, to our family, to our teachers; to those near and dear, to those far away.